In 2016 PAN-UK worked with a partner organisation, Ecolife, to help the Ministry of Agriculture in Georgia in identifying hazardous pesticide practices and products in the country. The work was conducted in close collaboration and with support from the Secretariat of the Rotterdam Convention and built on the results of a pilot study in six Former Soviet Union countries (supported by the Rotterdam Convention, FAO and the European Union). 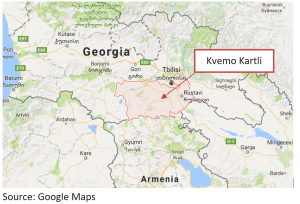 The focus of the study was the southern region of Kvemo Kartli. This is an area of relatively intense agricultural production and pesticide use, with a high number of seasonal workers. The main crops include grains, vegetables and orchard fruits. Farm sizes are small; 69% of participating farmers have farms under a hectare in size and only 1% farm more than 15 hectares. Georgia lacks a reporting mechanism for pesticide poisoning incidents. Few people seek medical assistance when a mild, or moderately severe, incident occurs. 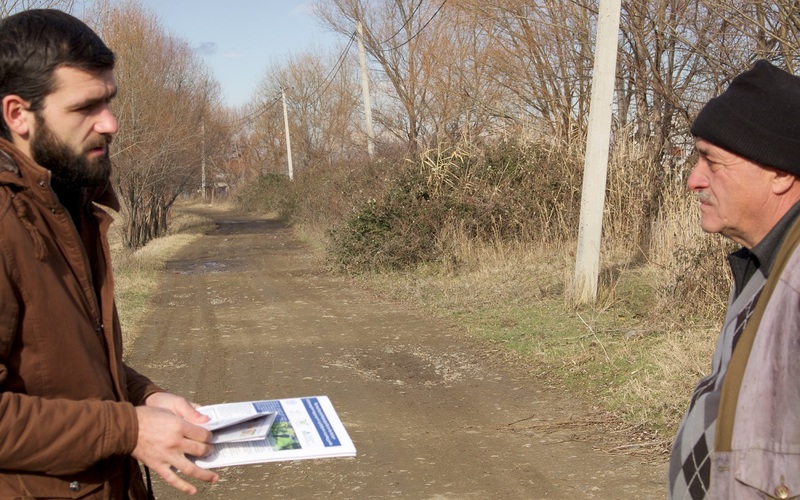 In order to better understand the scale and nature of pesticide poisoning in Georgia, it was necessary to meet with rural people and explore the circumstances, frequency and severity of incidents of pesticide poisoning. To this end, PAN-UK developed new survey tools, which were tested and modified and then rolled out to 920 farmers and farm workers. Respondents were selected to give a reasonable representation of men, women, farmers, farm workers, and people for whom Georgian is not their first language (mostly Azeri speakers) in order to make adequate comparisons between the different groups in terms of risk of pesticide exposure and poisoning. Research revealed extensive levels of risky working practices and exposure to highly hazardous pesticides. The pesticide label is a key source of information on pesticide safety, dosage and use. However, 34% of farmers and 52% of farm workers said they had difficulty reading or understanding the label. This was usually due to the label being missing or damaged, or the label being in a foreign language. 20% of respondents experienced signs and symptoms of pesticide poisoning over the previous twelve months, with some experiencing symptoms more than five times per year. Signs and symptoms include, for example, skin and eye irritation, nausea, vomiting, blurred vision, weakness, headaches and unusual heart rhythm. Several cattle farmers reported incidents relating to the use of pesticides (inappropriately) to control ectoparasites. Only 3% of respondents were found to have had any training on safe handling of pesticides in the last decade. Only two respondents wore a protective coverall when handling pesticides – 99.8% wore ordinary clothes for this task. Only 50% of respondents had access to a tap where they could wash off spills when handling pesticides. 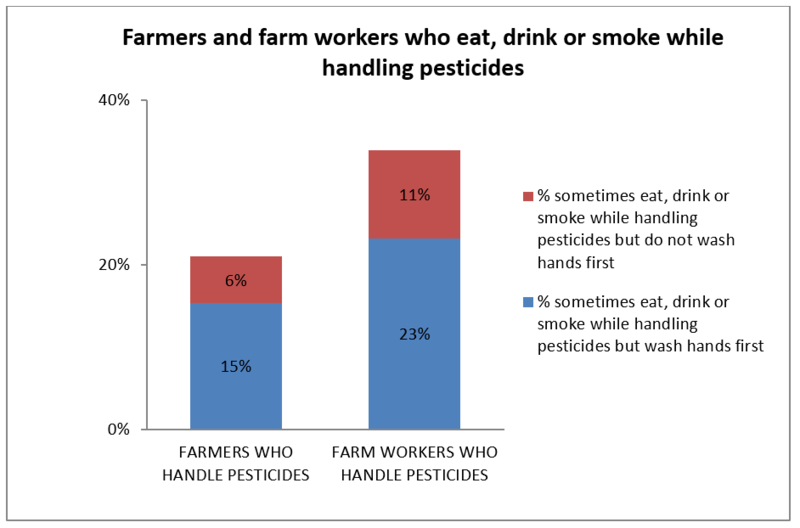 21% of farmers and 34% of farm workers stated that they sometimes eat, drink or smoke while handling pesticides. 17% of women and 7% of men on occasion apply pesticides with a broom or brush, rather than suitable equipment. Behavioural and social factors can influence exposure to pesticides. 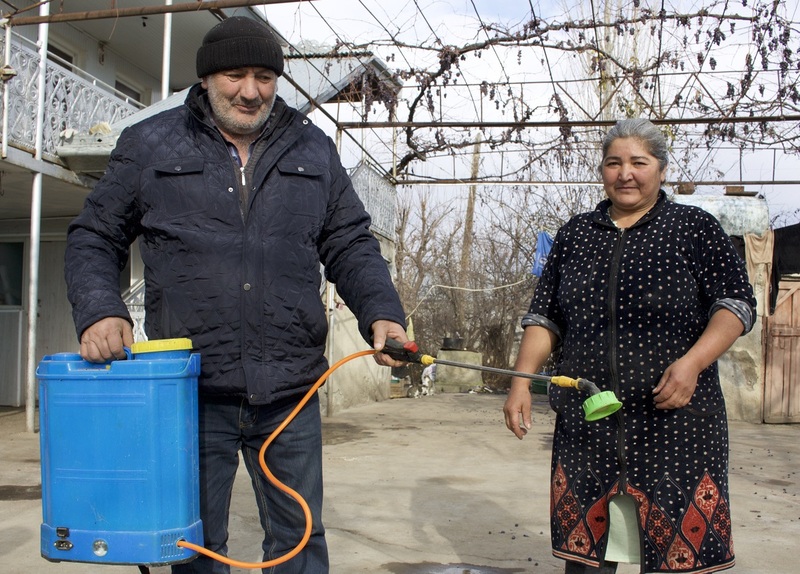 For example, more men were found to handle pesticides than women, with the gender difference even greater among Azerbaijani speakers than Georgian speakers. On the other hand, 55% of women hand-wash pesticide-contaminated clothing compared to 20% of men. Physiological factors increase the vulnerability of children and women to harm from pesticide exposure. Breastfeeding and expectant mothers, for example, are particularly vulnerable. Female farm workers seem to be at particular risk, with more than half of mothers in the study group aged 18-40 saying they take no extra precautions to avoid pesticide exposure during pregnancy. Given the generally poor standard of safety, this is concerning. Social factors of pesticide exposure include language. Just 5% of the Azerbaijani speakers in the study group were found to speak Georgian, with only 1% capable of reading Georgian. This is likely to affect their ability to access safety information. In addition, the difference in response between Azeri-speaking farmers and farm workers is striking. A significant number of farm workers (23%) complained of poisoning incidents compared to just 5% of farmers. This raises questions about working conditions for agricultural workers in the area. Farm workers also seemed more likely to engage in risky practices, such as eating, drinking and smoking while applying pesticides. Hazardous pesticides not only exact a high price in terms of human health and the environment, but in economic terms too. A survey of Kvemo Kartli1 found that 52% of respondents assessed their economic situation as ‘bad’ (‘income/harvested products are only enough for nutrition’) while a further 19% stated that they do not meet their own income or nutritional needs from harvested products. Even small economic losses can have a significant impact on rural livelihoods. Farmers are wasting resources, encouraging pest resistance, and failing to achieve the desired level of pest control by using the wrong product, dosage or frequency. Export markets are damaged by using pesticides that are banned in other countries. Farmers spend an average of 95 GEL (€36.10) per season on the single pesticide they use most, with 1% of farmers spending over 1000 GEL (€380) per year on a single pesticide. 37 incidents of livestock poisoning were reported, including cattle, sheep, chickens, bees and dogs. These can represent significant economic losses. The study identified the products most commonly used in the survey area and those most associated with self-reported incidents of acute poisoning. The products that caused most concern include lambda cyhalothrin, dimethoate, glyphosate and carbosulfan. Results of the study were shared with key stakeholders from the Ministries of Health, Agriculture and Environmental Protection and Natural Resources at a meeting in October 2016. A pilot Farmer Field School programme to be established to train farmers in IPM techniques on key crops. Alternatives to pesticides associated with poisoning incidents to be identified. Awareness to be raised in order to influence end-users of pesticides and reduce risks. A national system to be established in order to collect data on pesticide poisoning. Action to be taken to improve diagnosis and treatment of pesticide poisoning. Pesticide regulation to be strengthened – particularly in the areas of labelling, tackling counterfeit pesticides, licensing requirements for retailers and container management. 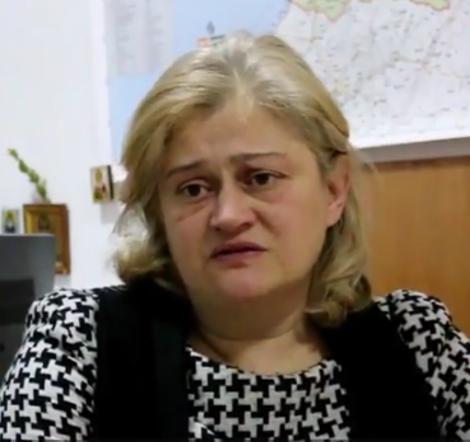 Following the study, Irma Tskvilinisdze (pictured), the Designated National Authority for Georgia, submitted three poisoning incidents to the Rotterdam Convention under Article VI. She has also supported efforts to encourage other countries to engage with these issues and she will be presenting her experience at a side event hosted by PAN-UK and the Secretariat of the Rotterdam Convention at the forthcoming Conference of Parties in May 2017.